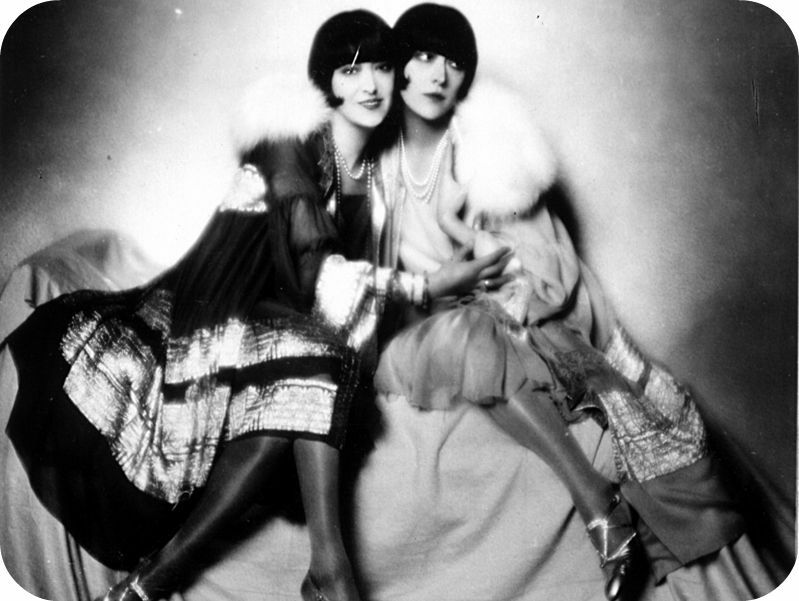 Fellow 1920s geeks will be aware of the Dolly sisters – a set of dashing Hungarian twins who beguiled bright young London with their vaudeville act. Rosika (Rose) and Jansci (Jenny) Deutsch were born in 1892, emigrating to the US at the turn of the century. They performed from a young age, and were soon signed up to the famous Ziegfeld Follies, touring Europe’s dancehalls and theatres, and even starring in films. The sisters were also prolific gamblers, making millions in casinos across the continent – most of which was spent on jewellery. 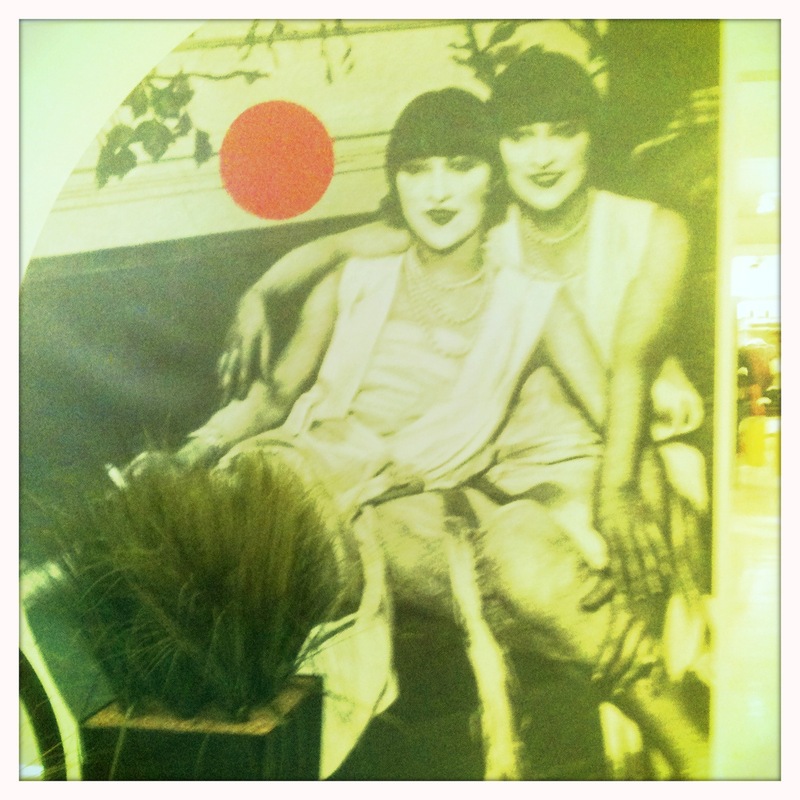 As with most famous flappers of the era, the twins had numerous high-profile love affairs, including a particularly well-publicised ménage-a-trois of a relationship with Harry Selfridge, propetier of the department store of the same name. Now, the point of this post. 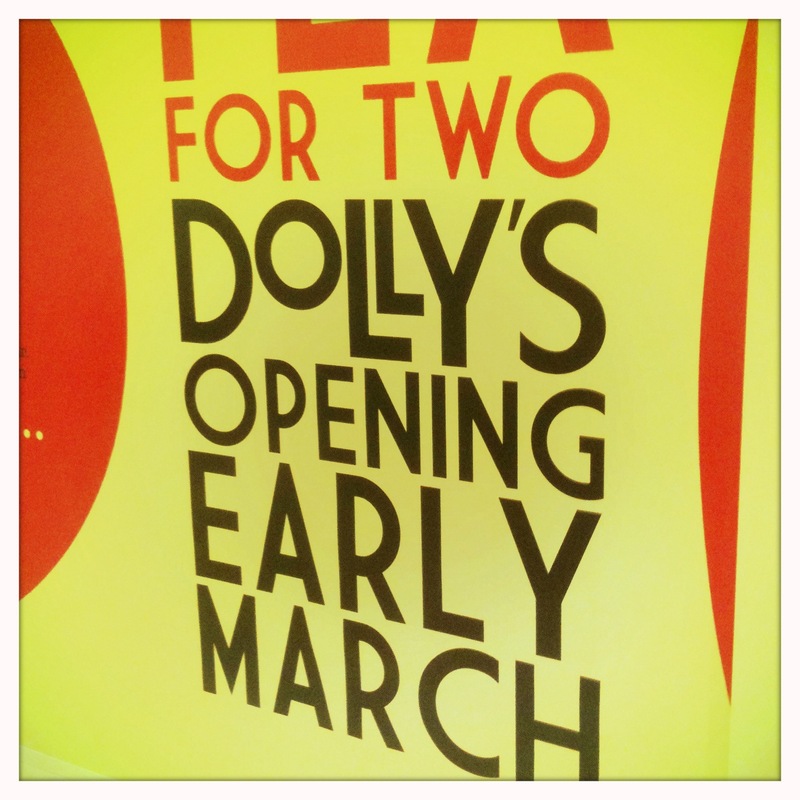 Selfridges is relaunching its basement cafe next month, rebranded as Dolly’s – after the sisters. The area is currently boarded off with hoarding depicting the sisters at the height of their fame, with the legend ‘tea for two’ festooned everywhere in a suitably deco font. PS If you want a book about the Dolly sisters, not only is this the only one, it also happens to be rather good.